The computer lab on the third floor of Project Place is a hub of activity from 9am-5pm with classes, specific trainings, and open lab time for clients to work on resumes, cover letters and applications. Being tech-savvy, or at least tech-competent, is critical in 2017: any job imaginable has an online application now and requires use of a computer and an email address, plus knowledge of the internet and how it functions. Project Place has been fortunate to be a partner of the Timothy Smith Network (TSN) since 2011, receiving Timothy Smith Fund grants to update our computer lab equipment and accessories every three years. 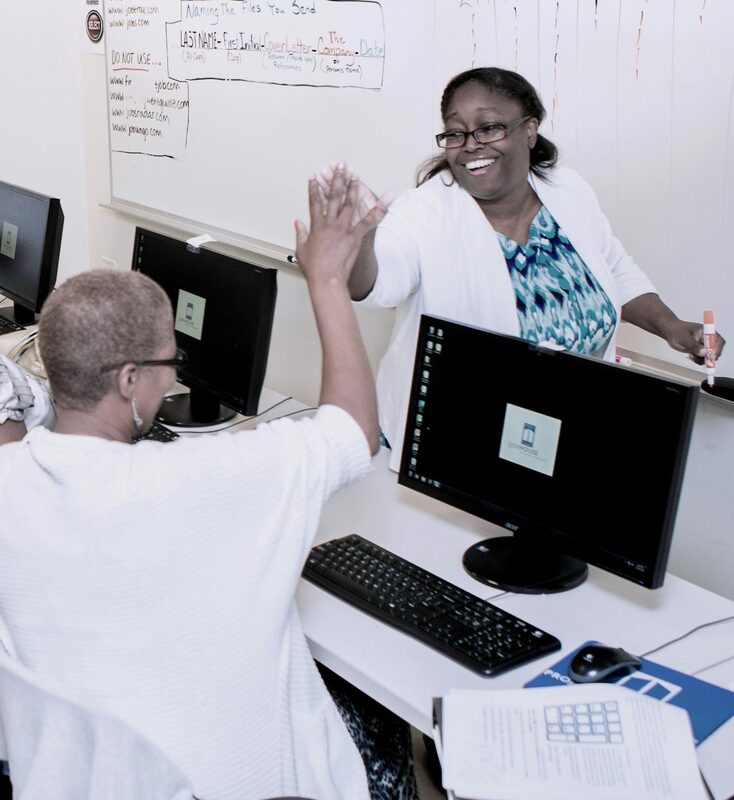 Our partnership ensures that we are bringing the most up to date technology training to clients which in turn, helps clients and program graduates to have the best possible shot at securing employment and sustaining their jobs over the long term.